Telco-Grade Processing Platforms for the Networking Industry. Data volumes in mobile networks are growing exponentially. Network Operators, Telecom Equipment Manufacturers (TEMs), and Independent Software Vendors (ISVs) need high-performance processing platforms for the toughest networking requirements, with the 5,9s reliability and performance in extreme environments. Radisys T-Series Platforms deliver the scalability, capabilities, and performance to meet operators’ high-performance requirements for SDN, NFV, and network element solutions. T-Series Platforms are true commercial off-the-shelf (COTS), standards-based solutions that leverage merchant silicon, open source software and a broad range of third-party blades, allowing our customers to deploy a cost-effective, telecom-grade platform while avoiding vendor lock-in. 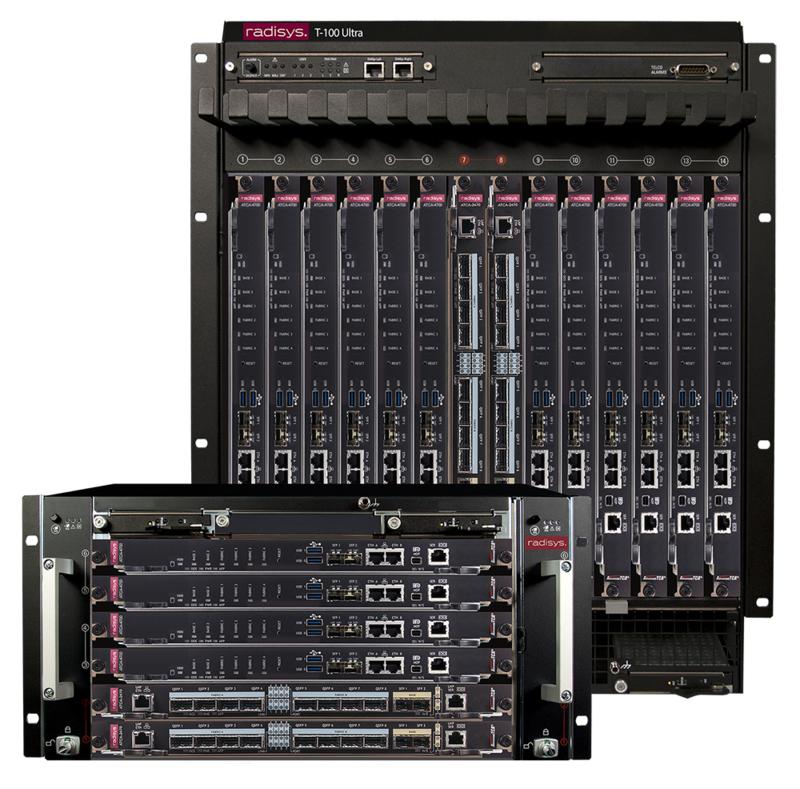 The T-100 Ultra is the Radisys flagship platform for creating and deploying virtualized network functions within service providers NGCOs (Next Generation Central Offices), data centers and POPs. The T-100 Pro provides a platform for creating and deploying virtualized network functions within service providers NGCOs (Next Generation Central Offices), data centers and POPs. For those applications that require the utmost in high density performance, the T40 is the ideal choice. With over 1Terabit of switching capacity and the ability to deliver over 288 Intel cores the T40 Ultra is the utmost in telco-grade performance and is the ideal choice for SDN/NFV applications. Ideal for mid-density node deployments, T40 Pro is a highly optimized performance per watt per space platform for demanding policy enforcement, security and service gateways applications. T40 Pro sports 40G backplane and up to 4 payload slots allowing broad range of Network Processors and Compute resource blade options.